GALION — Last week’s annual Come Home to Galion celebration may have been hampered by rain, but coordinators Miranda Jones and Sarah Capretta acknowledge the event as a success. Unlike years past, each ticketed event — Breakfast with Santa, Reindeer Dash, and the Polar Express — were sold out well in advance. Live performances at the Public Square had to be cancelled because no electric cords cords could be used to run the sound system in the wet conditions. The heavy rain ultimately caused the cancellation of the parade as well. “Ultimately, the weather radar made decisions for us. There are too many children involved in these activities to have them out in the elements,” Jones said. The parade will not be rescheduled. Despite the conditions, the Reindeer Dash went on as scheduled. 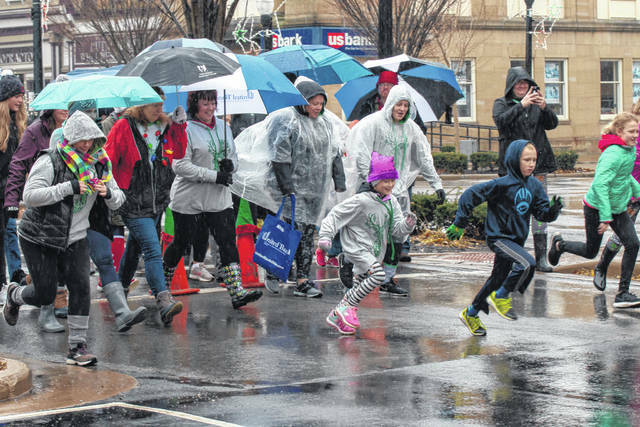 Seventy participants, adults and kids, braved the cold and rain to run the relay race on Harding Way E between Market St and Union St. Anyone who registered but chose not to come on Saturday may pick up their shirts at the Galion-Crestline Chamber of Commerce office. 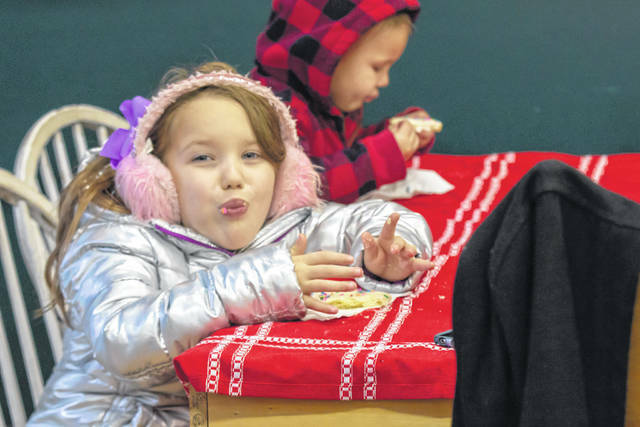 Indoor activities such as cookie decorating at Cake & Icing, letters to Santa at the Central Hotel, and the Elf Hunt by Brush and Palette art gallery were well attended. Despite the parade cancellation, the tree lighting went on at 5 p.m. on the public square. The window decorating contest between the uptown business is currently underway with votes being counted online at the Come Home to Galion Facebook page. The winner will be announced at the end of this week.